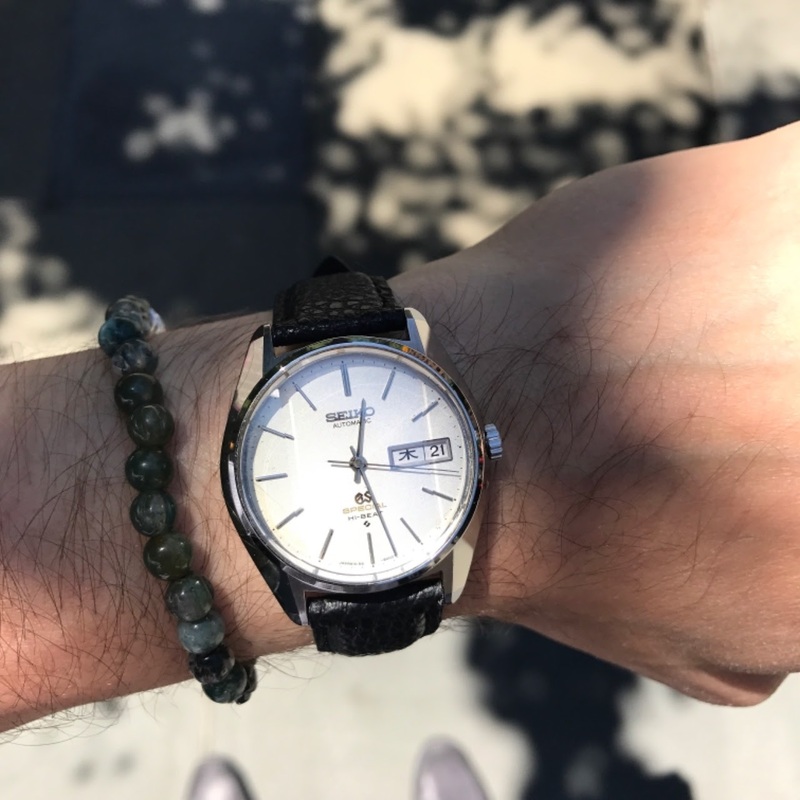 Grand Seiko Special 6156. A number of you have seen this watch in the metal, as I have brought it to Purist GTGs and also it’s often my Redbar choice. First: Well, it’s not something people see everyday (the “Special” had a shortish run, and even more so with the faceted crystal) and so that’s a good place to start with a GTG watch. Second: It’s also, in my opinion, a reference that represents the history of Grand Seiko extremely well. As a “Special” it’s reason for existence was accuracy. In terms of the case it certainly highlights GS’s grammar of design. Lots and lots of people are familiar with the modern GS but I believe modern GS falls a little short on some design cues and so people should see what the old GS looked like. Third: It’s a very accessible piece. Sometimes the high end can alienate people (price, complexity etc) and so for a GTG a watch like this is very approachable. Finally: It will lead to a discussion about Japan. And Japan is my favourite country in the world, Tokyo my favourite destination. A number of important personal events are connected to Tokyo and so from that perspective my vintage GS collection resonates beyond just being a bunch of watches.